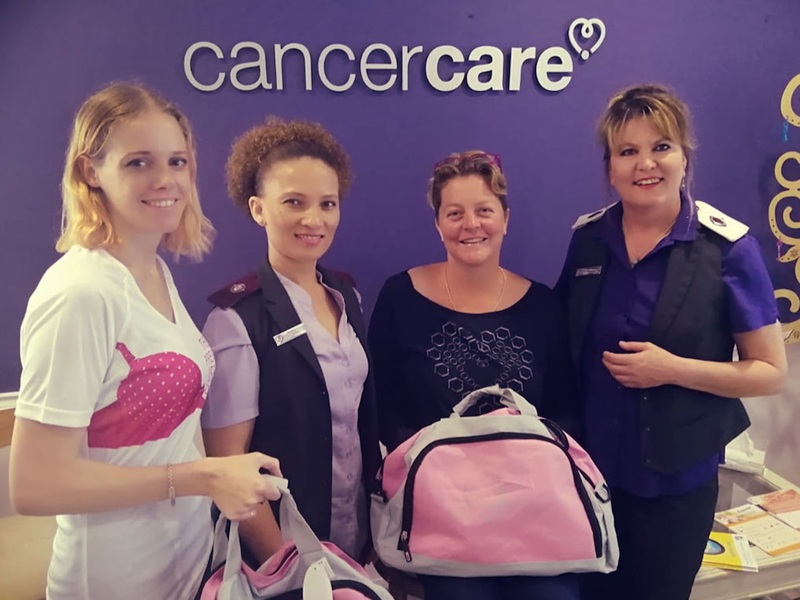 In March and April we visited Cancercare Somerset west and Panorama to meet their drop off pamper bags. Thank you to the wonderful sisters at our Cancercare units who do amazing work for our cancer warriors. So far we have delivered 12 Pamper packs: 5 to the oncology units and 7 to private patients and survivors we have been made aware of through our community - Including 3 packs sent all the way to Germany! 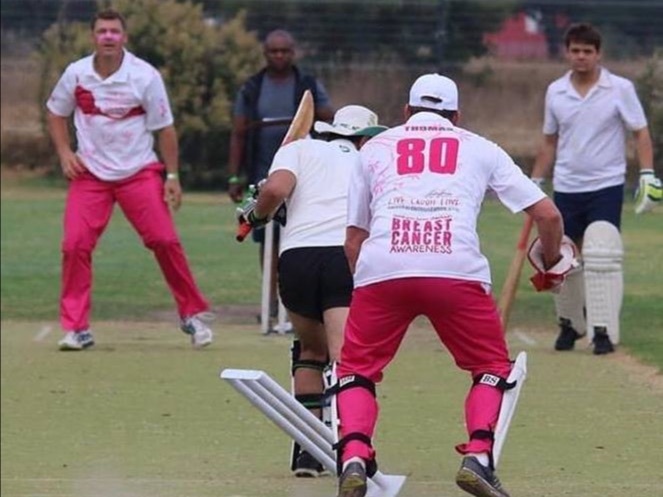 On February 23-25 our cricket team took part in The Cape Town Cricket Sixes. It was a fun filled weekend, meeting the likes of Allan Donald and Meyrick Pringle. 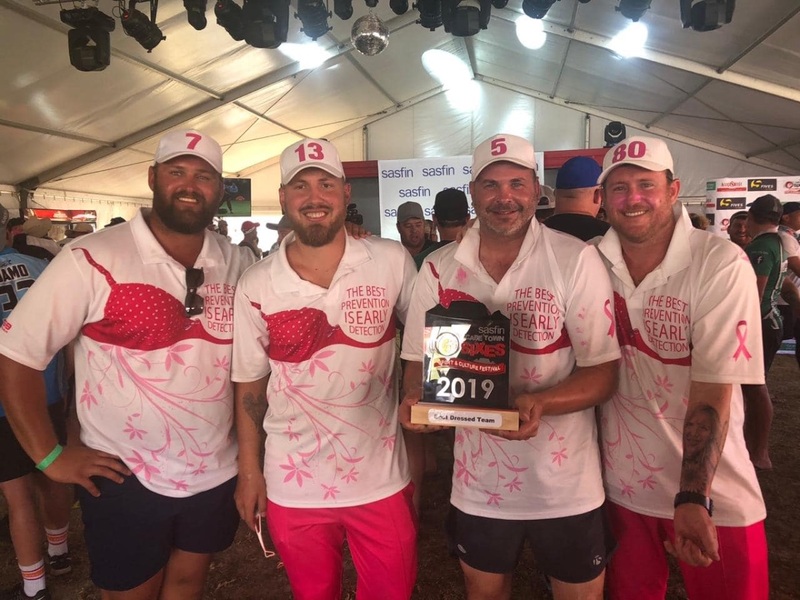 Well done to the guys for placing 5th and winning Best Dressed team! 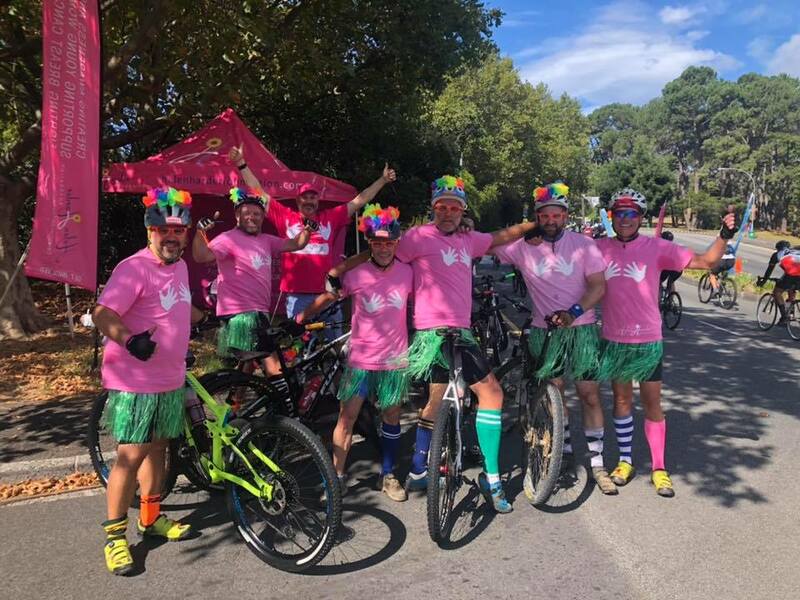 Our boys in Pink took part in The Cape Town Cycle Tour on 10 March. 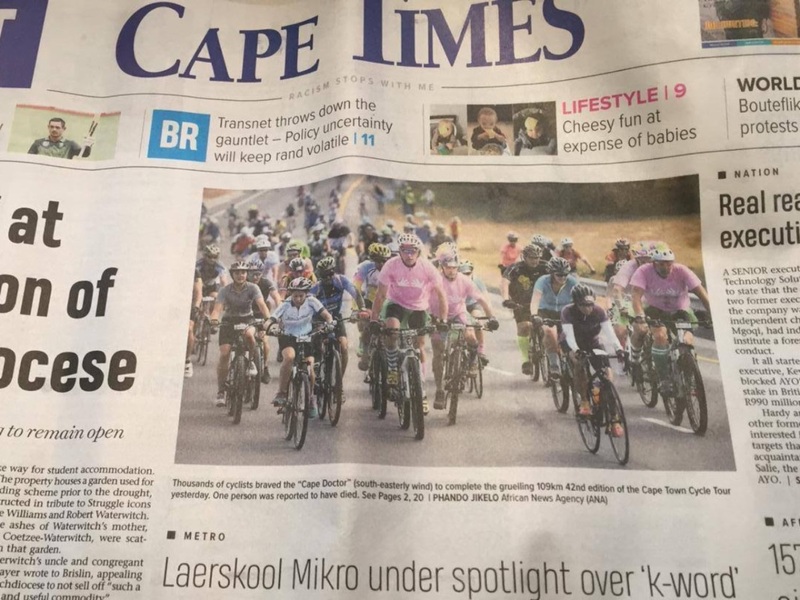 They looked amazing in their gear, and managed to cause quite a stir landing on the front page of The Cape Times. We had our HHF gazebo up and welcomed many riders that stopped by to say hi and show their support for breast cancer. 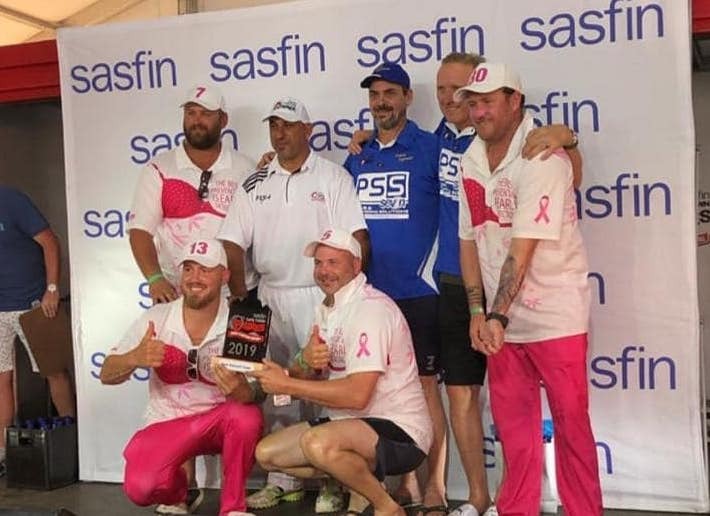 Thank you to Wes Lindes and the boys for running their campaign on Givengain and raising an inspiring R1300 for the foundation! 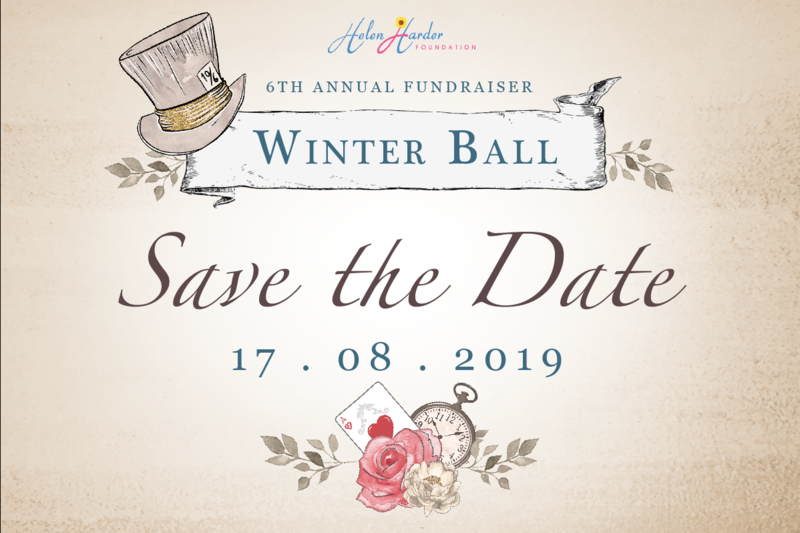 The event we have all been waiting for, our Helen Harder Foundation Winter ball 2019 will be held on 17 August 2019. Book now to ensure you don't miss out. We are excited to announce a new partnership with local company Maria Cosmetics, founded by established make up artist Andrea Hurter. As our first venture together we will be teaming up to host The Ultimate Makeup Bootcamp, on the 18th of May, at the beautiful Curro School Durbanville. 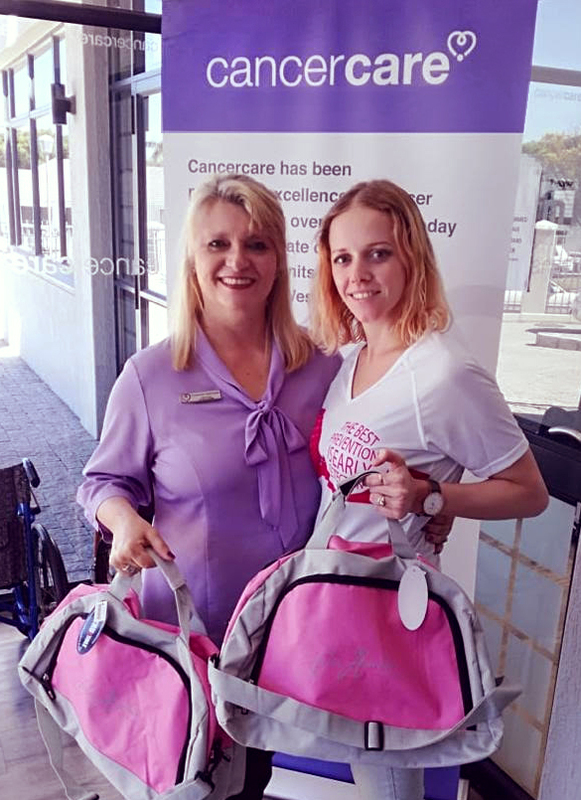 The funds raised at the bootcamp will help to cover the running costs of our Annual Fundraising gala, The Winter ball, which helps us raise funds to create awareness campaigns, offer financial assistance to patients for their medical bills, and to distribute pamper packs to breast cancer patients. Space is limited so make sure you book now! 18 March 2019 - Thank you for your dream that inspired this foundation. Which through the generosity of our supporters has managed to help so many young women fighting the battle against breast cancer.